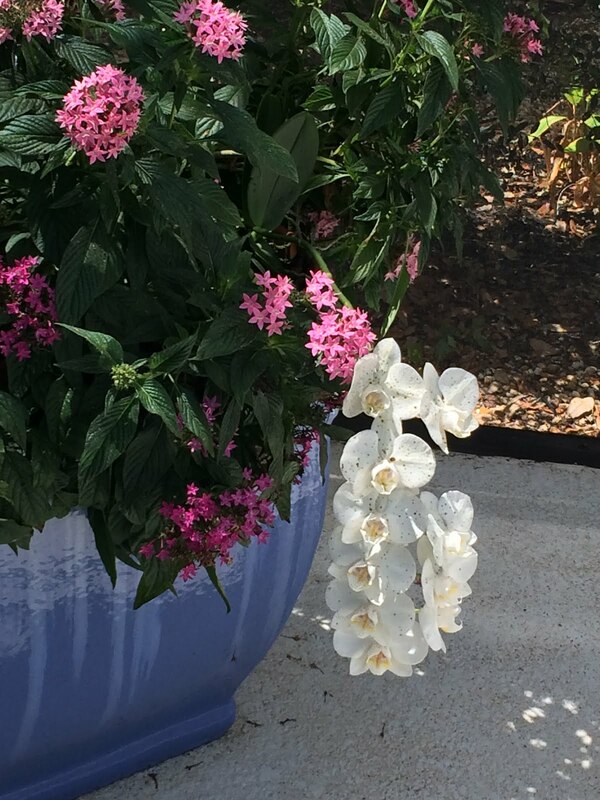 Tis the Season for Orchids, in Florida. It is always warm enough for Orchids to bloom, here, but there is actually a season, when they bloom outdoors and this seems to be one of the better years for them. 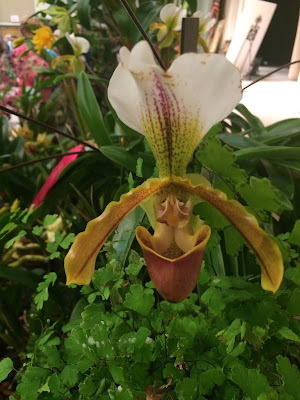 We have gone to many Orchid shows, as there are so many varieties to learn about. 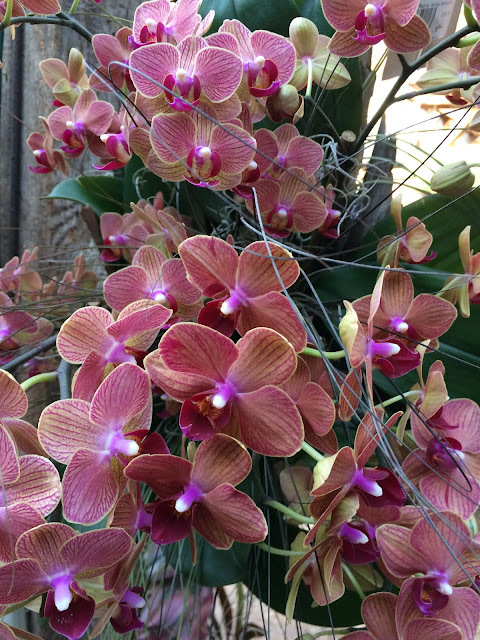 We always end up taking away a few specimens, and this year is no exception. 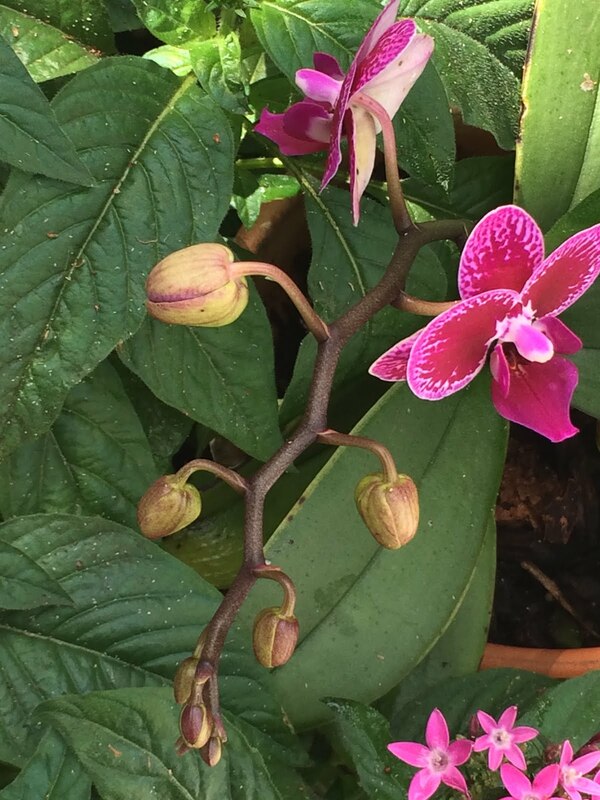 When they are done blooming inside the house, we take them outside and tuck them in a tree (a palm works well), or in our garden pots. They seem to thrive in that atmosphere. The Marie Selby Botanical Gardens, in Sarasota, also have a wonderful selections of Orchids, and often have shows, based entirely around the orchid. 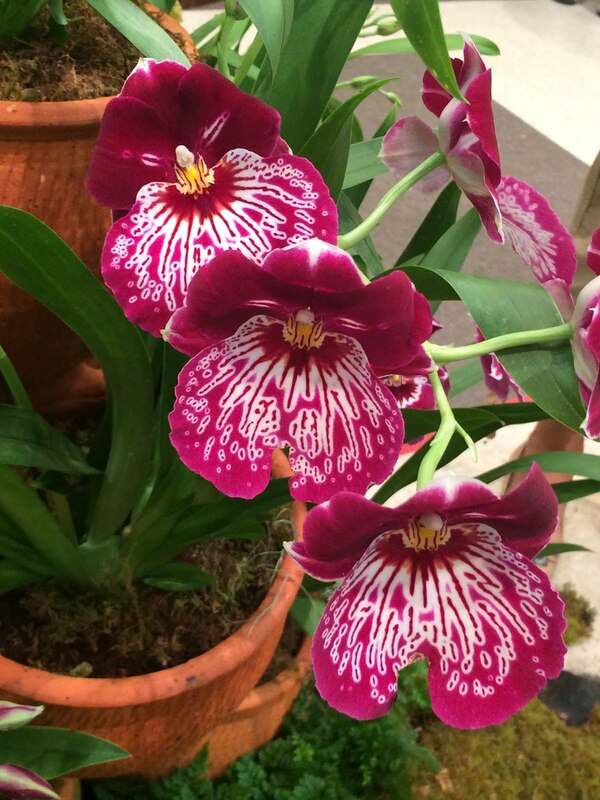 It never fails to uplift my spirits, to walk the grounds and enjoy all of their flowers, but when I step inside the greenhouse, magic takes over, and my spirit soars. If you are ever in the area, it is definitely worth the visit. 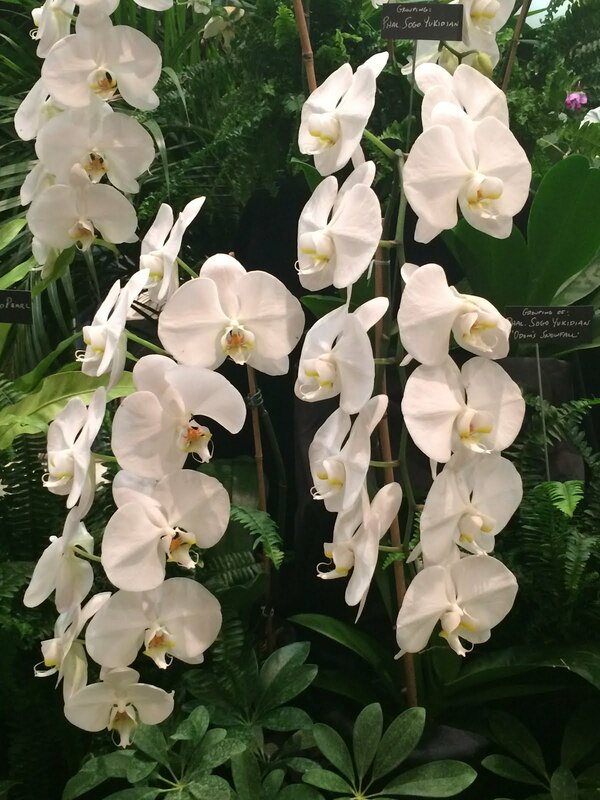 So, without further ado....a selection of Orchids for the soul. 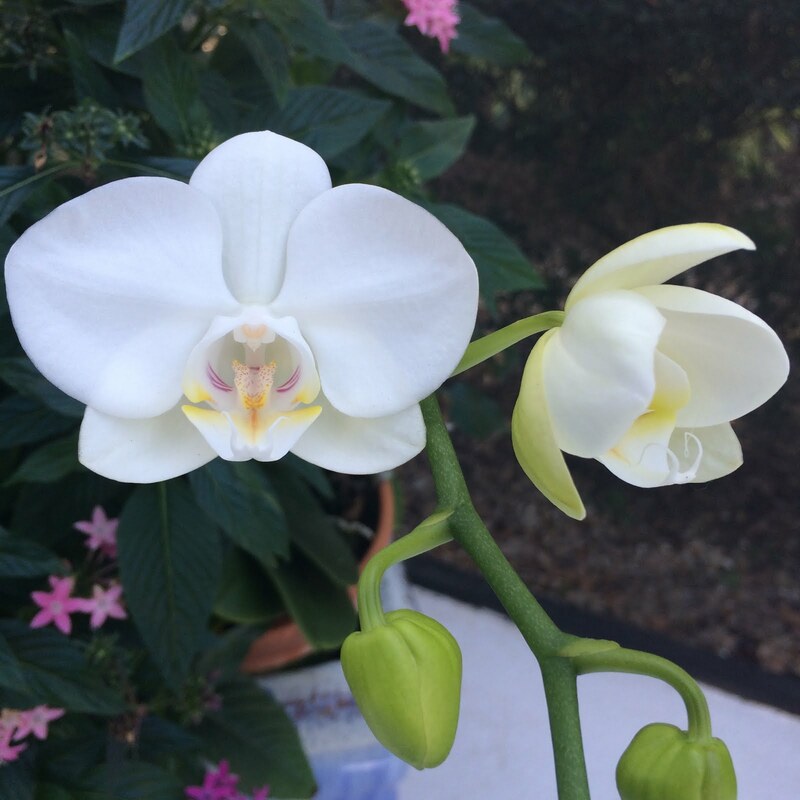 Proudly, this was the first bloom on the Orchid in our pot. 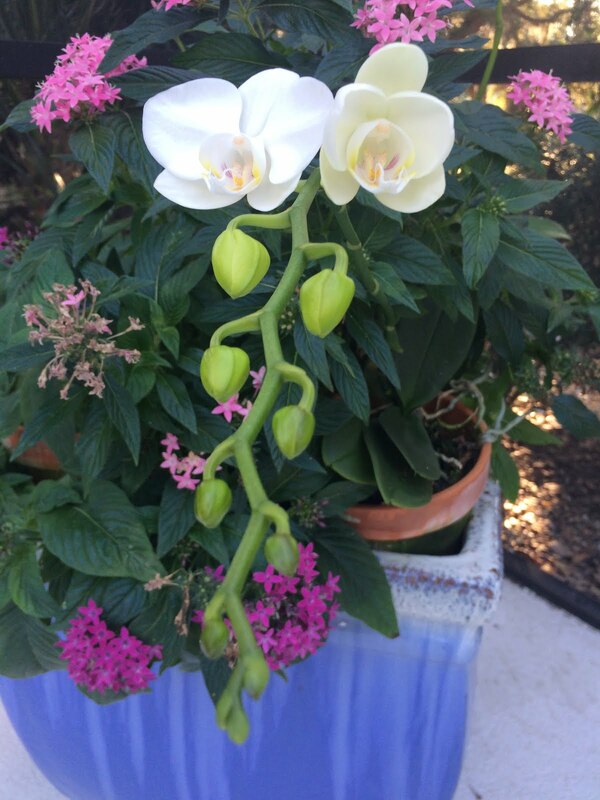 There are three different species in the pots, and this was the first to bloom. An individual bloom on the White Orchid. It looks a bit bedraggled here....the black dots are small seeds from the mighty Oaks in the yard. Next up is this beauty. 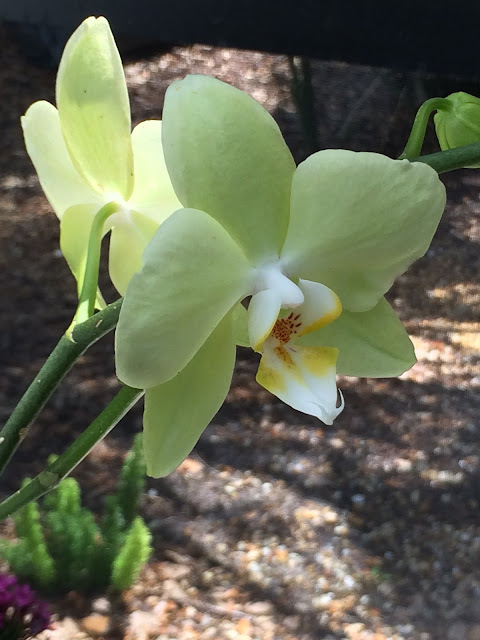 and it is a lot smaller than the White Orchid. It just popped up yesterday. 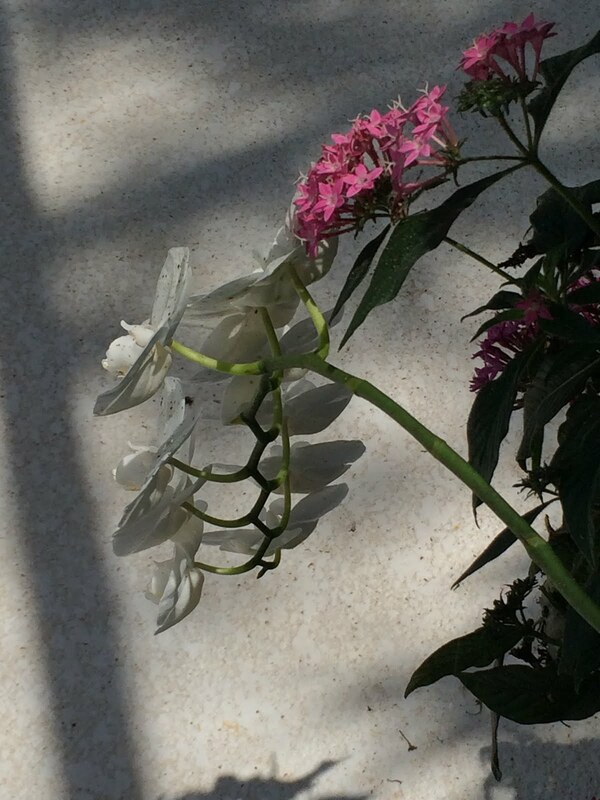 of the Penta's and our Orchid. I was using colored pencil. 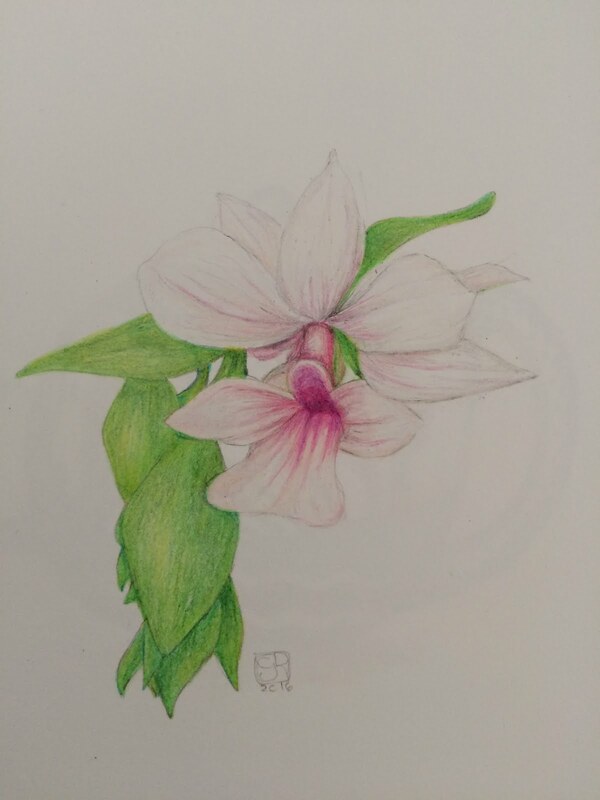 water color and colored pencil. 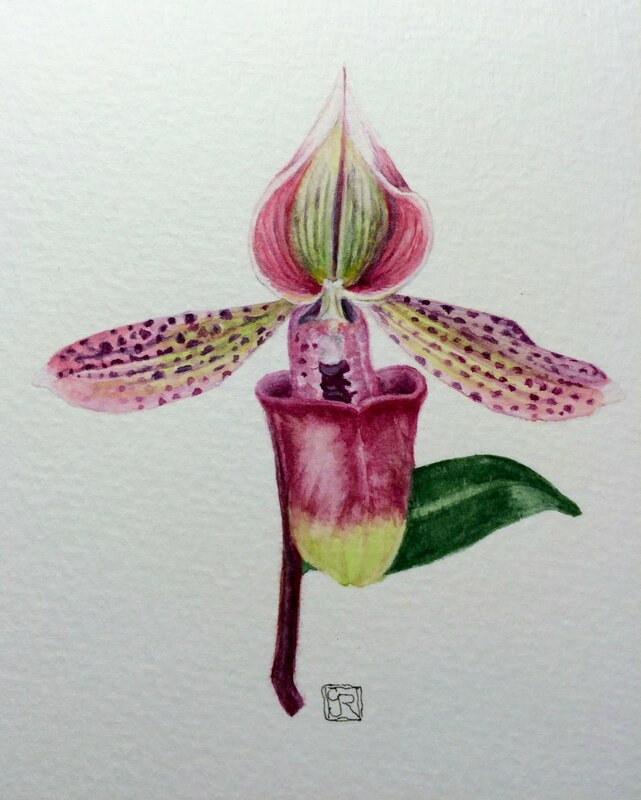 I find that painting Orchids, is tricky and complicated. trying to catch their delicacy. Well, that is it for this month. We will be having guests for a week long visit, and then heading to Seattle, for a wedding in our family. (So exciting!!). I love celebrations. Next month, I will try to squeeze in some of the work that I have been doing for these celebrations (though, one did get away from me before it was photographed). Hopefully, I will get a blog in before we leave for a Big trip, but not to worry, I will be here for most of the summer, so we can catch up in June! Have a great month. Enjoy your Spring, where ever it may be, and leave me a message, if you feel inclined.